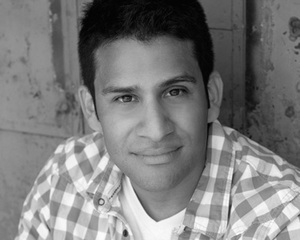 The Columbia College Chicago Theatre Department proudly congratulates alumnus Marvin Quijada ’05, a graduate of the Theatre Department’s BA Program in Acting, for winning the 2018 ALTA Award for Outstanding Performer in a Sketch or Review from the Alliance of Latinx Theater Artists of Chicago (ALTA). Quijada was honored for his performance in Sound + Fury: A Night of Electronic Storytelling, which played in April at Steppenwolf Theatre’s 1700 Theatre. 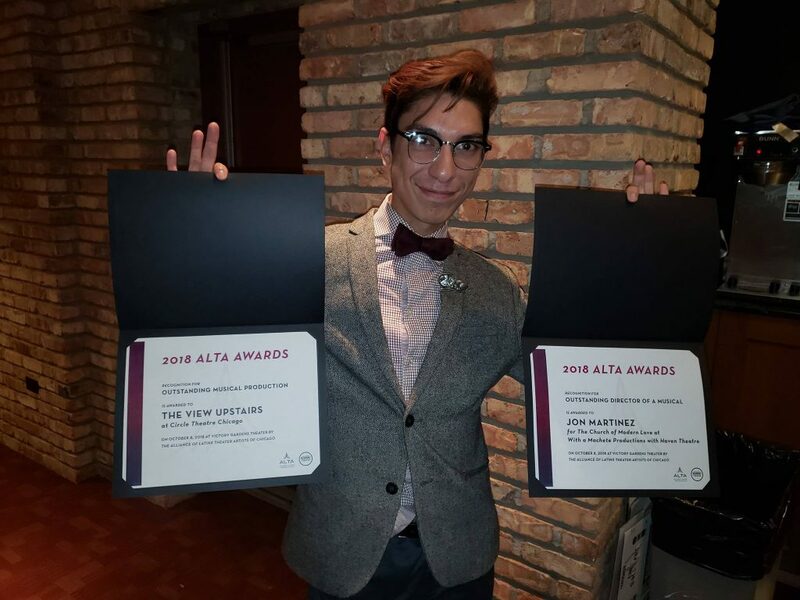 Congratulations also to Jon Martinez, a former student in the Theatre Department’s Musical Theatre Program, who won the ALTA Award for Outstanding Director of a Production–Musical for his direction of The Church of Modern Love, which was produced in July by With a Machete Productions in association with Haven Theatre. 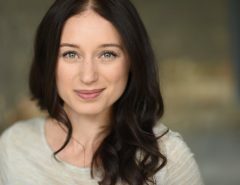 In addition, a show that Martinez choreographed, Circle Theatre Chicago’s The View Upstairs, won the ALTA Award for Outstanding Production–Musical. 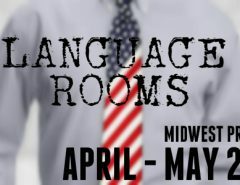 ALTA is a volunteering service organization dedicated to furthering the Chicago Latinx Theater movement by promoting, educating, representing, and unifying Latinx identified artists and their allies. The ALTA Awards, which were presented October 8, 2018, at Chicago’s Victory Gardens Theatre, are a new annual award established to acknowledge the outstanding work of Latinx-theatre makers and producing companies in the Chicagoland area.